Arlington Heights Village Board members are elected at large on a non-partisan basis, and they serve as the community’s decision-makers. The Village Board members are composed of eight trustees, and one Village President, who is Mayor, Tom Hayes. Philosophy as an elected official: Progressive stability; fiscal responsibility; reasoned decision-making based on case by case cost-benefit analysis. Family: Wife, Susan L. Hayes who is a registered nurse; and two children, daughter Tara, and son Timothy. Philosophy as an elected official: To maintain Arlington Heights as a great place to be a neighbor, employee and business owner by listening respectfully, and objectively searching for sustainable long term solutions by engaging with community members. Elected to the Village Board: Elected as Village Trustee in April, 2017. Other: American Chemical Society, Arlington Heights Historical Society, First United Methodist Church of Arlington Heights | Board of Trustees. Philosophy as an elected official: Listen to local residents and business owners and be their voice in Village government. Promote and maintain economic growth within the community while managing the ‘bottom line’ in spending. Elected to the Village Board: Appointed as Trustee on February 15, 2010. Family: Husband, John who is employed by Siemens and two grown children, Stephanie and Kenneth and one grandchild. Other: Past President and Board Member | Wellness Place, Cancer Resource Center. Past Chair and Commissioner of Village of AH Plan Commission | 17 years. 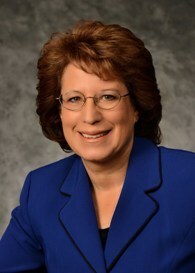 Past President and Board Member of AH Chamber of Commerce. Former Team Mom for AHYAA baseball and Northwest Chargers Hockey Association. To evaluate each issue individually and strive to balance the high level of service our residents expect with the need for fiscal responsibility. Other: League of Women Voters since 1988; Village of Arlington Heights Housing Commission 1990-1994: Arlington Heights Memorial Library Board of Trustees, 1993-1999; Downtown Master Plan Taskforce, 2004-2006; Village of Arlington Heights Plan Commission, 2007-2013. Remain connected to people, businesses and organizations throughout Arlington Heights. Listen, learn and understand the issues that affect people and organizations. Seek opportunities to improve Village services while being mindful of our community’s resources. Ultimately, support decisions that will be fair and consistent while working for the betterment of our entire community. Philosophy as an elected official: I believe in prudent decision-making based upon sound financial principles and being responsive to residents’ needs and concerns. Family: Wife, Sandi, and two sons, Michael, and Jonathan. Other: AICPA, ISCPA, President of the Terramere Homeowners Association. Past Chairman and Commissioner of the Village's Environmental Control Commission where I served 13 years; Former Commissioner on the Village of O'Hare Noise Advisory Committee. Prior Manager of Little League Baseball, Youth Basketball and Youth Soccer teams. Philosophy as an elected official: Fair and equitable representation of residents and businesses alike using common sense and good judgment while balancing strong fiscal responsibility with providing high quality services when deliberating the issues that impact all of us in the Village of Arlington Heights. Professional Association Memberships: Member of the National Association of Theater Owners; Executive Board of National Association of Theater Owners of Wisconsin and Upper Michigan; Co-Chairman of the Geneva Convention hosted by NATO of WI & UP for the benefit of theater owners across the Midwest. Philosophy as an elected official: Work to further Arlington Heights' desirability as a community to live, work and own a business by making decisions that are well-informed through active engagement of residents and business owners and thorough research of the issues. Occupation: President, owner and founder of Michael J. Sidor & Company, Inc., a language services company. Other: Member of the Arlington Heights Chamber of Commerce; member of the Arlington Heights Cool Cities, member of the Chamber of Commerce Executive Round Table. Philosophy as an elected official: To utilize my business, professional knowledge and deep community roots in order to offer logical and sound perspectives toward current and future issues that affect us all as residents and business owners here in Arlington Heights. I am committed to a self-imposed term limit of 3 consecutive terms as an elected Trustee. Other: Former 11-year member and past Chairman of the Arlington Heights Design Commission; Former 7-year member and Chairman of the Arlington Heights Park District Soccer Advisory Committee; youth travel Soccer Coach for the Arlington Aces boys and girls teams for over 13 years.